THE MADONNA LIFT – OH, WHAT BEAUTIFUL EYES! The Madonna Lift seems to be all the rage these days – no surgery required. How does this ageless pop star manage to maintain such a wide-eyed youthful look without a surgical eyelift (bletharoplasty)? Enter the CO2 Fractional laser. Fractional lasers have been on the market for several years, but the technology seems to keep improving. To understand how fractional lasers work and how they differ from the ablative field lasers that treat the entire skin surface, you might want to read my in depth articles: A New Breed of Lasers – Part 1 and A New Breed of Lasers -Part 2. 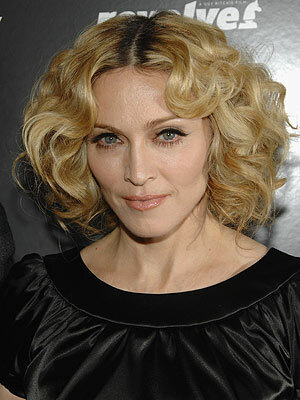 But let’s now take a look at what the CO2 has done for Madonna’s eyes – and can possibly do for yours as well. You don’t see dark rings under this ageless beauty’s eyes. Nor do you see drooping eyebrows or wrinkled, loose skin on her upper and lower eyelids. The new Madonna Lift promises many of the benefits of a surgical eyelift (aka a bletharoplasty), without the same down time or risks. It requires no anesthesia, simply the application of a numbing cream several minutes before the treatment begins. But for bulging fat pads, a minor surgical procedure is probably your best bet. On average three sessions are required to get the desired result, but these are only averages. Factors such as the condition of the patient’s skin, how much “lifting” is desired, the amount of post treatment downtime the patient is willing to sustain and of course, the skill, preferred protocol and experience of the professional administering the laser. Follow up treatments are normally spaced about a month apart. Who administers these laser treatments? Normally a plastic surgeon or head and neck specialist (otolaryngologist). A few highly skilled estheticians have mastered these techniques as well, but tread cautiously. It takes quality training, lots of experience and good technique to develop the skills to do the job right. Michelle Martel, a brilliant esthetician known as The Duchess of Dermis, wrote a excellent chapter in Tick Tock Stop the Clock ~ Getting Pretty on Your Lunch Hour titled: “It Takes Experience and Technique”. No matter what type professional you select for your laser treatments, these are the key criteria you need to research for successful results. Okay, Susan, I spoke too soon. Now I found you. I did go see a plastic surgeons about the eyelid lift, it blocks my vision, but she told me I also needed an eyebrow lift. 3500. then I figured I’d have the undereyebags. So what’s left, a face lift. How much does this procedure cost? The same procedure can vary so much in price depending on factors such as location of facility, reputation and skill of technician, competition in a given area and more. For example, a doc on Park Ave. in NYC has really expensive real estate compared to the country doc in the south west, so consequently charges more to cover expenses. The one who graduated at the top of their class at Harvard Med. is likely to charge more than the one who graduated at the bottom of their class at East Podonk U. And then, it will also vary according to the number of different areas of the face or body being treated, because each area takes time and time s money. You might try googling your question: “How much does a fractional CO2 laser treatment cost?” and see what kinds of answers you get.